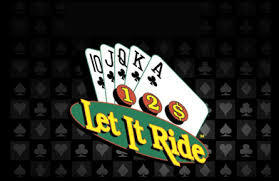 Let It Ride is one of the great casino card game success stories of the past 25 years. 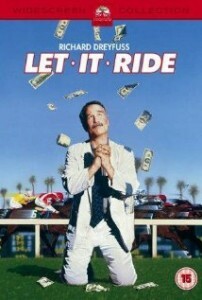 Let It Ride was created by John Breeding of Shuffle Master Incorporated, who started marketing the game in 1992 to build demand for his newly-patented single-deck automatic shufflers. Mr. Breeding had quit his job as a truck driver in 1983 to invent the shuffler, with the intention of selling the device to casinos to end the advantage of card counting in blackjack. By the time the devices were in production, casinos were using multi-decks, which made the machines obsolete from a blackjack perspective. By 1995, Let It Ride was making more money for Shuffle Master than the SHFL Entertainment machines. Shuffle Master has a virtual shuffler monopoly these days, but the company is in the process of being purchased by Bally Technologies Inc. for $1.3 billion. Players who enjoy Texas Hold’em will find similarities between that game and Let It Ride, because it uses community cards. In the case of Let It Ride, only two community cards are used. These two cards, combined with three player cards, are used to build a five-card hand. So while the game might resemble holdem in a cursory fashion, the true gaming analogue for Let It Ride is 5-Card Stud. Before a hand begins, the player makes a wager in three different locations on the table in front of them, which are marked (1), (2), and ($). When a hand starts, three cards are dealt to the player face-up. The two community cards are dealt face-down. Two rounds of betting are included in a hand, but the wagers work in reverse to how they are handled in most forms of casino gambling. Instead of placing more money on the table, players are allowed to take back part of their ante wager after seeing their cards. As the hand plays out, the player takes a look at their 3 cards. At this point, they can take back exactly one-third of their original wager, from the (1) betting area. Once this happens, one of the two community cards is revealed. After seeing this fourth card, the player once again is offered a chance to pull back one-third of their original wager, this time from the (2) spot on the table. In either case, the player chooses to remove 1/3rd of their bet or “let the bet ride”. The bet made in the ($) cannot be recovered, so it serves as the ante bet in the game. After the second community card is revealed, bets are resolved according to a pay schedule, much like it would be in video poker. Payouts are given for a pair of 10’s or better, two pairs, three of a kind, a straight, a flush, a full house, four of a kind, a straight flush, and a royal flush. Payouts range between 1:1 for a pair of tens (or better) and 1000:1 for a royal flush. Below is the payout schedule for the game. This is going to be the conventional payouts for most land-based casinos and all online casinos. Play is simple, though basic strategy exists, so it helps to study a bit about how to play the game. The house edge on the game, if you follow optimal strategy, is about 3.5%. Tips for how to play resolve around when you should pull back your bet and when you should let the bet ride. When a gambler has seen their cards (but neither of the community cards), players should withdraw their bets unless one of the following is happening. If the player already has a three of a kind or a pair of 10’s or better, then they should (obviously) maintain their wager. Any three suited cards that are 10 or higher should be kept. Any suited three cards in a row also should be kept, at least when the low card is 3 or better. If you hold any three cards within a spread of four and one of them is worth 10 or more, you should keep your bet on the table. For instance, if you held a 7-8-10 or a 7-9-10, then you should let the wager ride. Also, if you hold any three cards within a spread of five and two of those cards are worth 10 or more, you should let the bet ride. For instance, if you hold a 7-10-jack or an 8-10-jack (or better), you should not pull back your wager. Further instructions exist once you’ve seen one community card. Since this provides more information (and less opportunity to improve your hand), new parameters are set for when to let your bets ride. Obviously, a four of a kind, three of a kind, two pairs, or pair of tens or better are winning hands, so the bet should say on the table. Also, any four suited cards are worth letting the bet ride. Four cards in a row in which the low card is 3 or higher is also worth betting on. Finally, if you have any four cards within a spread of five in which the lowest card is 10, this is worth betting on, since you have a chance at a straight flush. Several side bets are available in certain locations. The most common is a side bet on the hand strength formed by your three dealt cards. In other words, the side bet plays out a lot like a hand of 3-Card Poker. An additional fixed payout is offered in some casinos involving the full five-card hand. In this side bet, payouts start at two pair, so players are wagering on higher payouts for the rarer hands. Online players will find versions of these bets, though they began in the brick-and-mortar casinos. Remember that side bets typically have a higher house edge, since they pay out larger amounts than many standard wagers.